Some great artist have the capability to draw on flat surfaces, objects that have the illusion of being 3D. 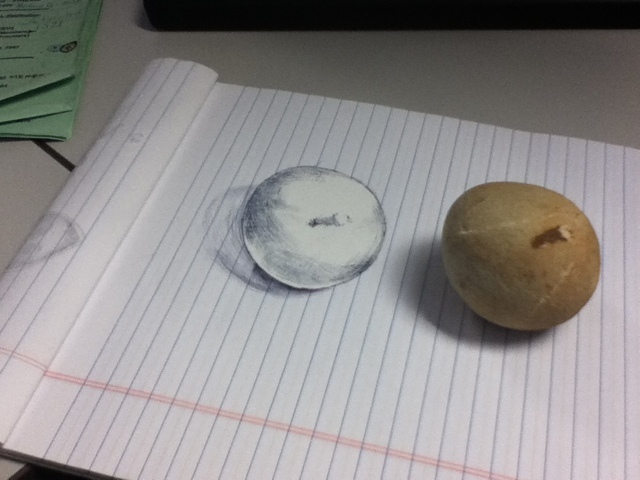 Here is my attempt to draw a small rock. What's on top of the rock? Some sort of marking. I'm not really sure.